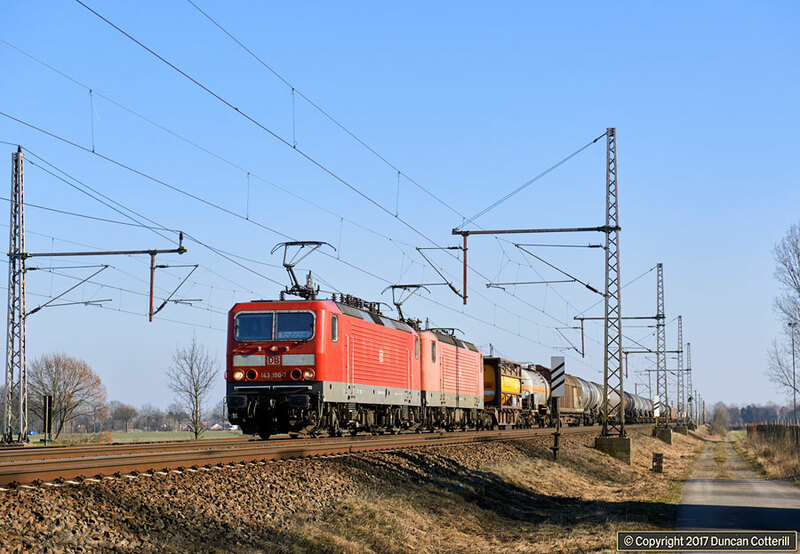 143.190 and 143.644 wheeled a mixed freight west near Dedensen-Gümmer on 15 February 2017. Although the ex-DR 143s have been a common sight in the former West Germany since re-unification, they've been almost exclusively passenger locos. Now being made redundant in large numbers by DB Regio, some have found a new home hauling freight.